One day after d enying the U.S. is engaged in "a war" against ISIS militants, the White House today said a war is in fact underway, indicating it's an extension of the ongoing campaign against Islamic extremists. 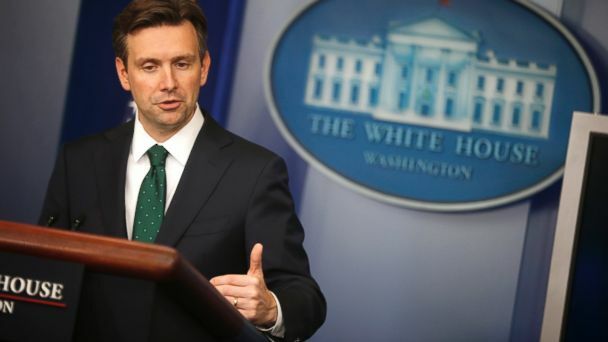 "The United States is at war with ISIL in the same way we are at war with al Qaeda and its affiliates," White House press secretary Josh Earnest told reporters today. At the Pentagon, spokesman Rear Adm. John Kirby echoed that assessment: "This is not the Iraq War," he said. "But make no mistake we know we are at war with ISIL in the same way we are at war with al Qaeda and its affiliates." The militant Islamic group goes by the acronym ISIL as well as ISIS and the name of Islamic State. The new talking points follow a day of insistence by administration officials that President Obama's new anti-ISIS strategy only amounts to a "counter-terrorism campaign." "No," the U.S. is not at war with ISIS, Secretary of State John Kerry told ABC News Thursday in Saudi Arabia. "We're engaged in a counter-terrorism operation of a significant order. And counter-terrorism operations can take a long time, they go on. I think 'war' is the wrong reference term with respect to that." National Security Adviser Susan Rice said since there would be no "boots on the ground" - presumably referring to American combat troops in Iraq or Syria - the campaign would not fit the definition of "war." But today a different tune, made all the more noteworthy given Obama's record of distancing himself from his predecessor's "war on terror" terminology and repeated insistence that "core" al Qaeda have been "decimated." "This war, like all wars, must end," Obama declared of the "war on terror" in May 2013. Now, his administration is pointing to that definition to say that we are still "at war" - and that it will continue, likely for years to come.